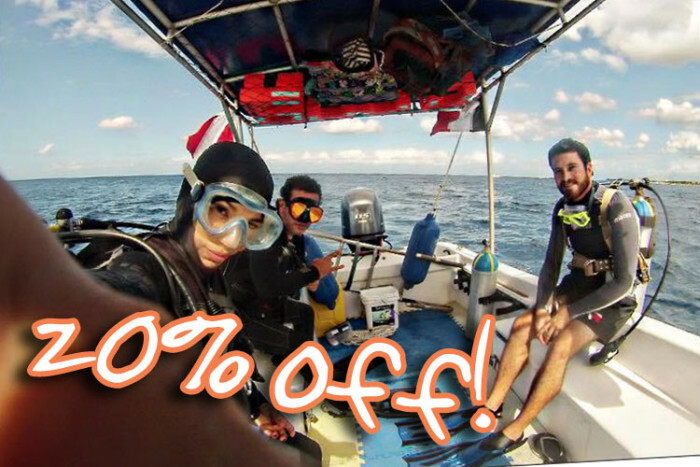 Book Cozumel Tours with Snorkeling Now! There are almost 300 species of colorful fish and over 100 types of beautiful coral in Cozumel, so putting on snorkel gear and taking a look under the surface is an absolute must when you're on the island. Read our advice below and you'll soon be smiling happily and waving hello to the island's fish. 2) Watch for hair in the seal which can cause leaks. If facial hair causes problems try a little Vaseline to help it seal. 3) For a better seal, keep the mask strap high up on the back of your head, not near your neck. 4) Position the tube so it is as vertical as possible when your face is in the water, this will help prevent water splashing in. You can also use a tube with a special valve that stops water getting in. 5) Protect yourself from the sun, you'll be face down most the time, so be careful not to burn your back, or the back of your head, neck, arms or legs. Make sure you use biodegradable sunblock though, other types can damage the reef and sea-life. T-shirts or lycra rash vests are great too, then you won't need so much lotion. 6) Avoid misty vision by using anti-fog liquid on your mask. If this isn't available, good old-fashioned spit also works, but if it's not your own mask be sure it's cleaned afterwards! 7) Wear a life-jacket so you can stop when you need a rest. Inflatable ones are good for more experienced snorkelers because they can be deflated if you want to dive below the surface. 8) One you're more experienced and want to try diving down, remember to equalize your ears if you dive more than a few feet under the surface. Hold your nose as you descend and gently blow to 'pop' your ears. If in doubt, ask a professional guide or diver. 9) Bring a water proof camera or phone, or buy a water-proof case, once you've got the hang of the snorkeling basics you'll have a great time taking photos of what you see. 10) "Leave only bubbles, take only memories" - please do not touch anything and follow the rules when within the Marine Park.